Born 18 April 1949 in London, England (UK), Andrew Powell began taking piano lessons at the age of four and later attended King's College School, Wimbledon by which time he was also learning the viola, violin and orchestral percussion. He was writing music by the age of eleven and went on to study composition with Karlheinz Stockhausen and György Ligeti at Darmstadt (Germany) before taking a masters degree in music King's College, Cambridge. His first professional engagement after leaving Cambridge was as a soloist at the Proms at the Royal Albert Hall, London. He later worked with several orchestras, including at Covent Garden and with the London Symphony Orchestra, London Philharmonic Orchestra, BBC Welsh Orchestra and the BBC Symphony Orchestra where he worked with Pierre Boulez. He had also begun working as a session player, as well as founding the group 'Come to the Edge' with Robin Thompson and Morris Pert, which performed regularly with the Japanese percussion virtuoso Stomu Yamash'ta. His career as an arranger began at this time and his first commission was the debut album for Cockney Rebel; he also arranged their next two albums and worked with other artists including Leo Sayer, John Miles, Donovan, Cliff Richard, Al Stewart, David Gilmour, Chris Rea, Mick Fleetwood, The Hollies, Münchener Freiheit, Laïs, Racoon, Il Divo and others. He worked on the first album by The Alan Parsons Project ("Tales of Mystery and Imagination") as arranger, conductor and composer, and subsequently on all but one of their albums and with Alan Parsons when the group broke up. This group were to become one of the most important forces in Progressive Rock in the 1970s and 80s, with worldwide album sales in excess of 50 million coming from a string of platinum albums. His highly contemporary large orchestral and choral sound combined with the rock rhythm section (the London Times commented: “At last a rock arranger who knows that music has developed since Tchaikovsky”) was a “fingerprint” of the group. Other artists he has worked with include Chris De Burgh, Nick Heyward, Michael Crawford, Elaine Paige, The Hollies and Kansas. Powell produced Kate Bush'sfirst three tracks at AIR Studios in London. Two songs from this session, The Man With The Child In His Eyes and Berlin (The Saxophone Song) ended up on her debut album The Kick Inside, which was also produced by Andrew. A few months later, Andrew also produced Kate's second album Lionheart, after which their collaboration had run its course. More recent work has included arranging and conducting Wouter Van Belle's work 'Wow & Flutter' as well as writing for brass bands including the Grimethorpe Colliery Band, Parc & Dare Band and Burry Port Town Band; and the perhaps less accessible album "Stockhausen: Michael's Farewell, etc" with John Wallace. Of the latest compositions, 'Living Stones', received its world premier at St Davids Cathedral, Wales on 27 October 2007 and 'Glasiad y dydd dros Ben Dinas' at the City of London Festival on 19 March 2008. He is artistic director of BluestoneArts, a social enterprise company that promotes music, words and visual arts in north Pembrokeshire, Wales. David Gilmour phoned me one day, and invited me for lunch at the Pink Floyd's office in Bond Street, London. When I arrived there, he introduced me to Kate Bush (or Cathy, as she was then known.) She was a very quiet, but obviously thoughtful, young girl. He played me some of her songs, and I was impressed by her vivid musical and lyrical imagination. We talked about which songs to do - I took a tape away, and we had a further discussion a few days later: we agreed on 3 songs to record, and David handed the project over to me. I booked some time at AIR London Studios in Oxford Circus with the renowned Geoff Emerick as engineer (who, to my great embarrassment, wasn't credited on the album), and booked a rhythm section consisting of Barry de Souza on drums, Bruce Lynch on bass, and Alan Parker and Paul Keogh on guitars. Kate would play piano (although I played both piano and electric piano on "Berlin"). We had another session a few days later with the orchestra, who played on "Berlin", and also played The Man with the Child in his Eyes - Kate played piano and sang live with the orchestra. If she was nervous, it didn't show - I still think this is one of the best vocals I have heard from her. Geoff, who was assisted by Peter Henderson, did great mixes of all 3 titles (the other one was called "Humming" - it was never released) and David took the tape to Bob Mercer at EMI, who signed her. Andrew Powell. Wikipedia, retrieved 29 September 2014. Biography. Andrew Powell website, retrieved 29 September 2014. Ask Andrew. 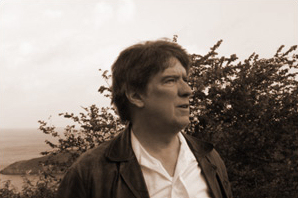 Andrew Powell website, retrieved 29 September 2014.